Blanks are collected from central NSW usually in autumn when the sap is not active in the trees. The trees collected are only genuine termite hollowed—we do not bore out the blanks to make them useable. 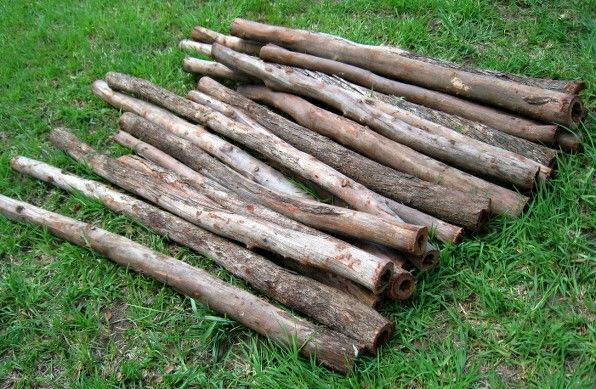 We collect mostly Mallee, but there are Box Tree blanks available also. Blanks are sold well seasoned (at least 6 months), unless otherwise requested. We leave the bark on them so they season slower. Our blanks come in all shapes and sizes—just like people! We collect them in varying lengths and leave them just as they grew in the natural environment, but we can cut to length for a fee. Generally they will be between 1.1m and 2m long, but most are around 1.5m to 1.6m in length. Mallee blanks are $85 each individually, and are available in our online shop. We also offer a wholesale service, so please contact us if you wish to buy wholesale quantities (20+). We also offer special blanks that are best handpicked, so local pickup is necessary unless they are bulk orders. These are individually priced up to $400. The higher priced ones are generally nice shaped Grey Box or Mallee blanks. We make it a point to ensure that all our blanks have a good sized, natural hole down the entire length of the stick. We do our best to check that this is the case with every blank, but also know that we cannot always see down the whole length due to bends. Because of this we offer 10% extra with our bulk orders. So for 10 we give you 11, or for 30 we give you 33 etc. For orders of less then 10 we of course cannot do this. I have seen some pretty bad blanks in my time and do not wish to sell even one bad one, so we are really open to working with you to make sure that you are happy with the product, and want to come back again to us as your supplier. We sell both Mallee and Box tree blanks. The Box tree blanks are mainly Grey Box, but sometimes these trees are really hard to identify, so there may be some Black Box and Bimble Box in there too amoung others. We sell in two categories—Standard blanks ($85) and special, individually priced blanks for those who want to make that special didge. 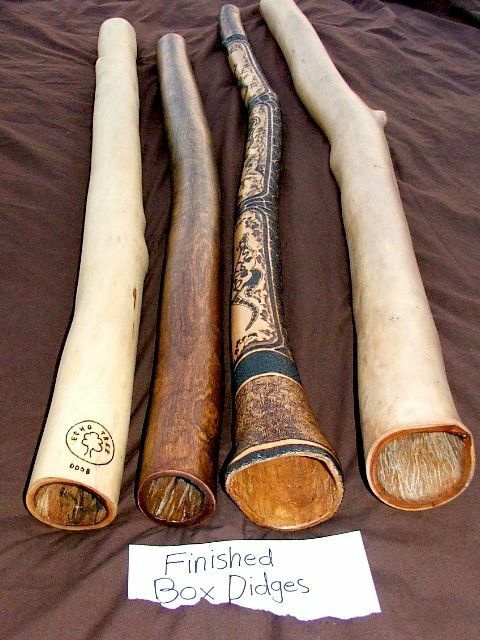 We do not recommend customers buy the premium blanks until they are confident and competent as didgeridoo makers, just because it is a lot of money invested to lose if their blank is damaged!. We are able to supply natural, raw beeswax if you have a need for this. We recommend that beeswax be used to form the mouthpieces. This is available in our online shop. We are based on the Mid North Coast, and can arrange for you to pick up bulk orders from there, or can deliver for a fee, depending on your location. Talk to us about it when you make your bulk order and we can work it out then. Below are some pictures to give an idea of the range and appearance of our blanks.